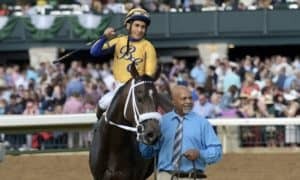 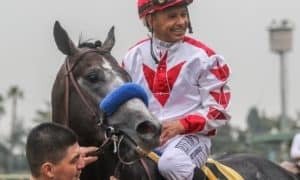 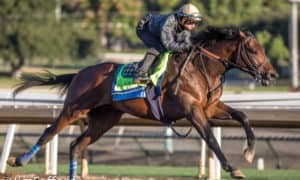 LEXINGTON, KY – e Five Racing Thoroughbreds’ Rushing Fall rocketed her way from gate to wire across the Keeneland turf to win Saturday’s Coolmore Jenny Wiley Stakes (G1). 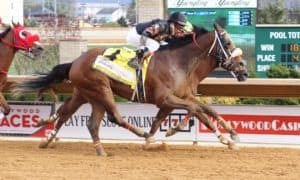 Breaking from post 2 under Javier Castellano as the 4/5 favorite, Rushing Fall immediately took command and posted opening fractions of :23.81, :48.41, and 1:13.62. 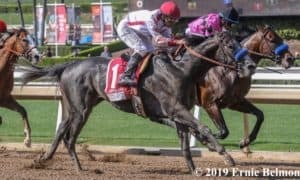 Given her cue as she straightened for home, Rushing Fall dug in the length of the stretch and held sway to win by 1 length in a final time of 1:42.77 for the 1 1/16-mile event over the firm turf course. 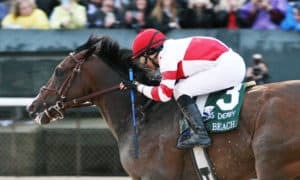 The Chad Brown trainee’s 2019 debut resulted in her fourth win at Keeneland in as many starts. 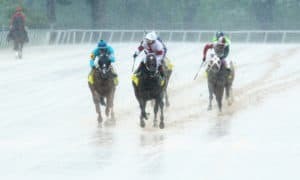 The winner’s stablemates were chasing close behind her at the end, with the Brown-trained Rymska finishing a 1/2-length ahead of Got Stormy and the Brown-trained Onthemoonagain just a neck back in fourth. 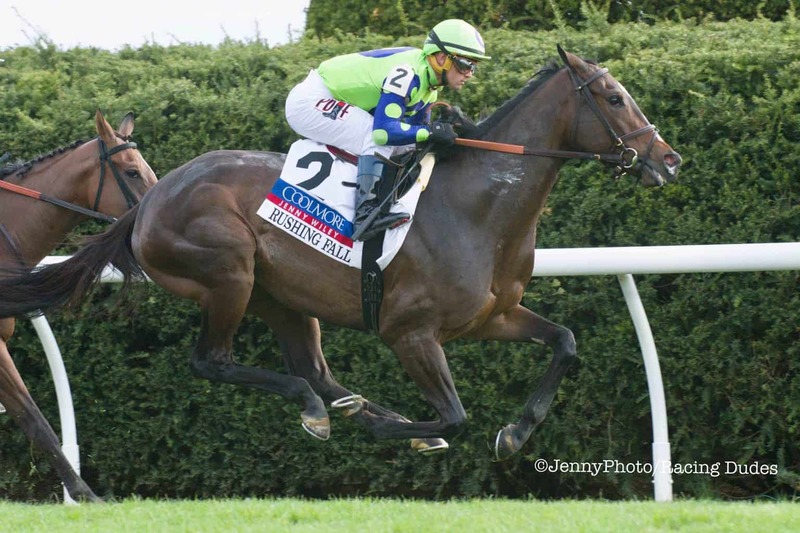 Bellavais, Phantom Opening, Princess Warrior, and Goodyearforroses completed the order of finish. 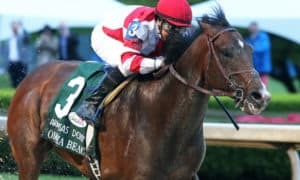 Rushing Fall’s win was her third straight, following 2018 triumphs in the Lake Placid Stakes (G2) and the Queen Elizabeth II Challenge Cup S. (G1). 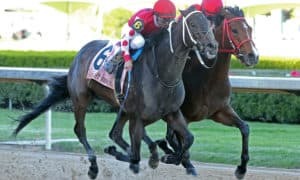 The 4-year-old daughter of More Than Ready now sports a record of 8-7-1-0 with $1,518,000 earned. 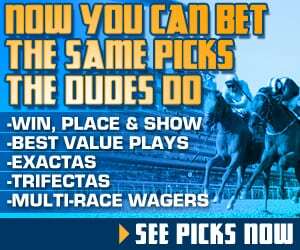 Rushing Fall returned $3.80 to win, $2.40 to place, and $2.20 to show. 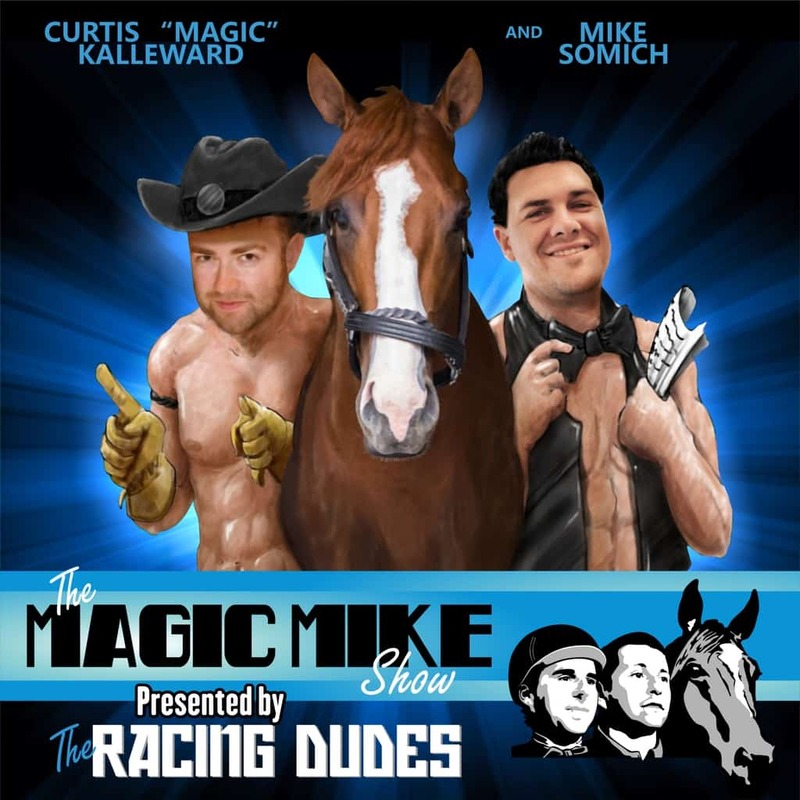 Rymska brought back $2.60 to place and $2.40 to show, while Got Stormy paid $4.20 to show.